Dun & Bradstreet (NYSE:DNB) became the first certified vendor of the Small Business Financial Exchange, Inc.’s wholly owned subsidiary SBFE, LLC (SBFE®). As an SBFE Certified Vendor™, Dun &Bradstreetgains access to the SBFE Data ™ on more than 24 million small businesses. Combined with Dun & Bradstreet’s global commercial data and analytics, the enhanced information will allow Dun & Bradstreet’s financial services customers who are also SBFE Members (“Members”) – many of whom are among the nation’s largest small business lenders – to gain increased visibility on small businesses to better assess their performance, credit line utilization, and payment delinquency. By combining Dun & Bradstreet’s proprietary data sources and world-class modeling capabilities with SBFE’s robust financial performance data, Dun & Bradstreet will develop new predictive analytic tools for the benefit of its SBFE Member customers. The combined datasets additionally enable small business lenders more streamlined report pulling by providing a more complete view of small businesses and global companies from Dun & Bradstreet. 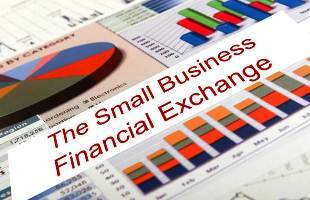 The Small Business Financial Exchange, Inc. and SBFE, LLC (collectively known as SBFE) is the leading source of US small business credit information. Established in 2001 as a non-profit organization, today the exchange houses information on about 24 million businesses in its SBFE Data Warehouse™, and enables blind information exchange among its Members. Through its resources, relationships and SBFE Certified Vendors™, SBFE makes possible innovative risk management solutions by providing industry insight and analysis of aggregated small business financial data to its Members. SBFE sets the highest standards for data quality, integrity of use, data governance and information security for SBFE Data™ to protect its Members and their customers’ information. SBFE is the only Member-controlled organization of its type and is a trusted advocate in promoting the needs of the small business lending community. For more information, visit www.sbfe.org.